Baseball fans, Nikcosports is offering up a very nice 6-ball set of Official Rawlings Cincinnati Reds baseballs to help celebrate the MLB All-Star game in Cincinnati this year. 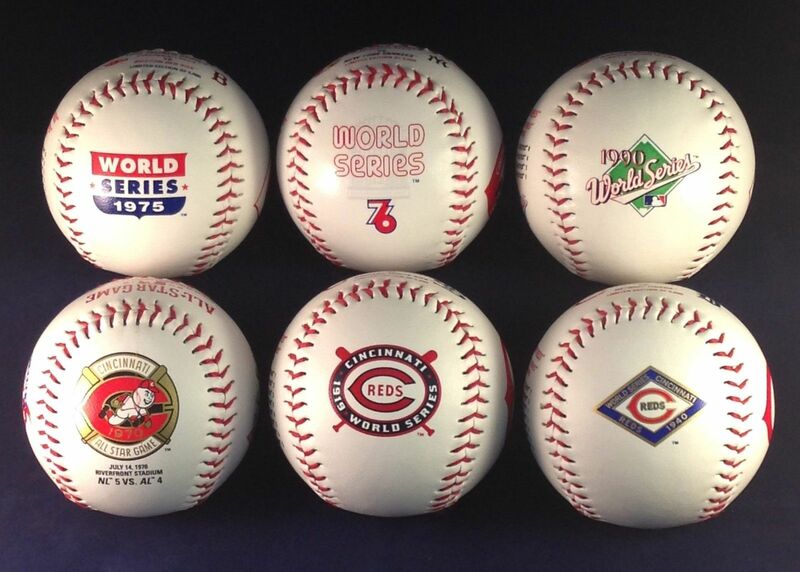 This set which is limited to just 5,000 sets include the following baseballs honoring the Reds World Series wins – 1919, 1940, 1975, 1976, and 1990, plus a special 2015 All-Star ball. The ball sets sell for $79.95 with portion of the proceeds going to benefit The Reds Community Fund. You can purchase this item at www.nikcosports.com or call 1-800-345-2868 or check out Nikco Sports on Ebay by clicking here.